The second of the three volumes in the new Cambridge History of Law in America, edited by Christopher Tomlins and Michael Grossberg is titled "The Long Nineteenth Century (1789–1920)." It deals with the formation and development of the American state system, the establishment and growth of systematic legal education, the spread of the legal profession, the growing density of legal institutions and their interaction with political and social action, and the development of the modern criminal justice system. We also see how law intertwines with religion, how it becomes ingrained in popular culture, and how it intersects with the worlds of the American military and of international relations. More on the project as a whole and information about Volume 1 is here. There is a preview chapter for Volume 1, but not for Volume 2. 18. Politics, state building, and the courts, 1870–1920 William E. Forbath. The U.S. News law school rankings for 2008, with all their limitations, have been making the rounds in the blogosphere. U.S. News also ranks History graduate programs, but has simply posted a repeat of its 2005 rankings. According to U.S. News, "Rankings of doctoral programs in the social sciences and humanities are based solely on the results of peer assessment surveys sent to academics in each discipline." More on methodology is here. Hat tip. In April, 1934, workers at the Auto-Lite plant went on strike, demanding that their employer recognize their union and engage in collective bargaining with them. Despite the ill effects of the Depression on Toledo and an unemployment rate of over 50%, workers at the Auto-Lite transmission plant risked their jobs and the possibility of employment at other factories for what they believed were fundamental rights - the rights to organize into a union, engage in collective bargaining, and strike. With help from the Toledo Central Labor Union and the AWP, the Auto-Lite workers resisted an injunction and enforced their right to organize on their own through collective action. As of 1934, the Constitution had yet to emerge as a major public issue. 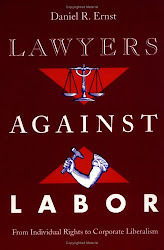 Unlike the sit-down strikers in 1936 and 1937, a period in which the courts considered the constitutionality of the NLRA, the Toledo strikers rarely raised constitutional issues. Nevertheless, we conclude that the Toledo strike was one episode in a long-term popular movement for constitutional change. In later interviews, those workers stressed that the deplorable conditions and the way that their employer treated them that led them to strike. While most leaders of the Auto-Lite strike did not mention the Thirteenth Amendment, a number of them invoked opposition to wage slavery in their speeches and leaflets to rally their supporters. In this manner, the workers on the Auto-Lite picket line carried on labor's tradition of recognizing the right to organize as a human right as well as an economic right. This article thus considers an important chapter in the history of American popular constitutionalism, the belief of labor activists that they had a fundamental right to organize into a union, and Congress' codification of that belief in the National Labor Relations Act of 1935. Updated (3/31). I was too busy to blog during the Organization of American Historians meeting in New York this weekend, but Rick Shenkman at History News Network had it covered. His post from Friday, Day 1, includes You Tube video of a panels on History from the Bottom Up, Academic Freedom and the Early Cold War, a paper by Charlotte Brooks on my panel on Race, Political Activism, and the Cold War and a major panel on the anniversary of 1968. He includes a highlight from the conference: remarks by the historian of race and civil rights Manning Marable on his experience in 1968, when he traveled to Atlanta at the age of 17 to cover the funeral of Martin Luther King, Jr., for a black newspaper. Shenkman's superb coverage continued on Saturday, Day 2. The morning began with a panel remembering historian Roy Rosenzweig. HNN's post includes You Tube coverage of panels on The Forgotten War (the Mexican American War), Does liberalism have a usable past?, Conspiracies, and a debate about the meaning of the 40th anniversary of the death of Martin Luther King, Jr.
A pioneer in whiteness studies, she has taught a course on it at Princeton. She is finishing a long awaited book on the subject. And last night she gave her peers reason to be jealous that they hadn't thought to work on the topic themselves. The ingredients were familiar. What Americanist hasn't come across Emerson's book on English traits, if only in a used book store? What historian hasn't heard America described as an Anglo-Saxon culture? Who hasn't been told over and over again that Magna Carta was a kind of American freedom charter? But it is Professor Painter who has had the wit to think hard enough about these subjects to construe their role in the making of what she calls the Anglo-Saxon myth. I am afraid I have bad news for Emersonians. They will never feel the same about Emerson after watching Professor Painter's talk. Brilliant as he was, he came to believe in a kind of ethnic determinism every bit as looney as the daft doctrines of white supremacists or anti-Semites. Painter's address on You Tube is here. Coverage of Sunday, Day 3, including Marilyn Young, NYU, Michael J. Kramer, Northwestern and Mark Lawrence, Texas on Vietnam, and Elizabeth Borgwardt, Washington University, on the Geneva Accords and John Yoo is here. 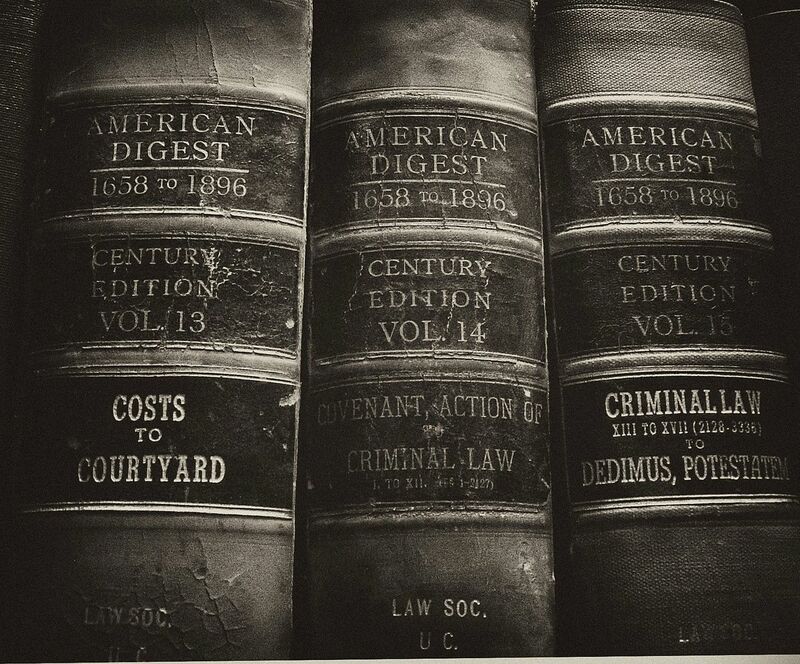 Law stands at the center of modern American life. Since the 1950s, American historians have produced an extraordinarily rich and diverse account of law and legal institutions in American history. But even though our knowledge has increased enormously, few attempts have been made to draw its many parts together in some greater whole that summarizes and synthesizes the history of law in America. The Cambridge History of Law in America has been designed for just this purpose. Sixty of the leading historians of law in the United States have been brought together in one enterprise to present the most comprehensive and authoritative account possible of the history of American law. begins the account of law in America with the very first moments of European colonization and settlement of the North American landmass. It follows those processes across two hundred years to the eventual creation and stabilization of the American republic. 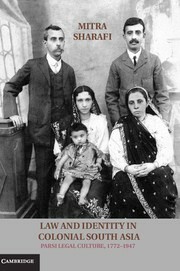 The book discusses the place of law in regard to colonization and empire, indigenous peoples, government and jurisdiction, population migrations, economic and commercial activity, religion, the creation of social institutions, and revolutionary politics. 16. Magistrates, common law lawyers, legislators: the three legal systems of British America James A. Henretta. You can order all three volumes (or ask your library to do that) here. The Organization of American Historians annual meeting begins tomorrow in New York. There are many interesting panels scheduled. Here is just a sampling of interest to legal historians. Storm Warnings: Rethinking 1968, "The Year that Shook the World"
From Billy Graham to Pedro Pan: Evangelicals, Anticommunism, and Immigration Law in Transnational Adoption to the U.S. The Social Gospel Radicalism of Martin Luther King, Jr.
A reception will follow this session. You can find the full program on-line here. Over the past half-century, discussions of constitutional war powers have focused on the scope of the President’s “inherent” power as Commander in Chief to act in the absence of congressional authorization. Professors Barron and Lederman argue that attention should now shift to the fundamental question of whether and when the President may exercise Article II war powers in contravention of congressional limitations, when the President’s authority as Commander in Chief is at its “lowest ebb.” This Article is the second part of a two-part effort to determine how the constitutional argument concerning such preclusive executive war powers is best conceived. In the companion Article, Professors Barron and Lederman described the structural forces responsible for this shift in the ground of debate and demonstrated that evidence from the Founding era does not reveal an original understanding that the Commander in Chief enjoyed preclusive authority over matters pertaining to warmaking. In this Article, they move the story forward and systematically examine how the three branches have actually considered and treated this issue from 1789 to the present day. They examine those cases in which the President has asserted or relied upon a claim of preclusive war powers. They also review the discussions of this issue that have appeared in Supreme Court opinions; in major debates on the floor of Congress; and in the leading constitutional and war powers treatises, articles, and books of the past two centuries. This historical review shows that the view embraced by most contemporary war powers scholars — namely, that our constitutional tradition has long established that the Commander in Chief enjoys some substantive powers that are preclusive of congressional control with respect to the command of forces and the conduct of campaigns — is unwarranted. In fact, Congress has been an active participant in setting the terms of battle and the conduct and composition of the armed forces and militia more generally, while the Executive (at least until recently) generally has accepted such legislative constraints as legitimate. Although history is not dispositive of the constitutional question, legislators and executive branch actors should not abandon two hundred years of historical practice too hastily, and should resist the new and troubling claim that the Executive is entitled to unfettered discretion in the conduct of war. This paper is in two parts. The first part is about developments in the rules of evidence and particularly about developments in the federal rules of evidence, which has had a major impact on evidence rules in many states. This part turns out to be largely about the past because my sense is that the impact of changes in the formal rules of evidence, which were substantial, are largely historic. To be sure future changes in the formal rules, particularly those that may be made as a result of the Supreme Court's decision in Crawford v. Washington (2004) that dramatically changed confrontation and may unleash hearsay reformulation, may be significant. The second part deals with my sense that technological and scientific advances may make have a dramatic impact in altering the way cases, particularly criminal cases, are proved and evaluated in the future. For example, the development and proliferation of a new type of "trace evidence" - electronic "trace evidence" - is providing dispositive proof of a larger and larger group of cases. As jurors come to understand such dispositive proof exists in many cases, they are suggestions they may come to expect it in all, potentially changing how proof in criminal cases is evaluated. Of course, this speculation - these rumblings in the future of proof - is just speculation. However, there are reasons to suspect at least that as a result of the accumulation of events brought on by scientific and technological change, something significant is beginning to occur. The Congress shall have power to . . . To declare war, grant letters of marque and reprisal, and make rules concerning captures on land and water. US Const Art I, § 8, cl 11. Although the Capture Clause may seem obscure today, the power it embodies was crucially important to the early republic. General Washington declared, even during the Revolutionary War, that a centralized and standardized system for the handling of prizes was vital to the war effort. The first court established by the fledgling federal government was the federal appellate court of prize. This court heard over a hundred and eighteen cases before it was dissolved by Article III of the Constitution. The federal government, first under the Articles of Confederation and then under the Constitution, was responsible for prescribing the rules under which enemy ships and prisoners could be taken. The value of captured ships was the chief means by which the early navy and privateer system was financed. However, the early law of capture also concerned captured persons, who could sometimes be redeemed or ransomed for head money. Later scholars have correctly concluded the capture of property was more important to the Framers of the Constitution. However, they have also assumed that the Capture Clause did not cover people. This is not the case. This paper will show that the received wisdom that the Capture Clause covers only property is based on a faulty and possibly disingenuous statement dating from 1833. This paper will also show that the received wisdom is inconsistent with the era's admiralty law and with Congressional practice. The Framers made prescribing rules concerning captures on land and water an enumerated power of Congress. This power covered enemy persons as well as property. In 1787 the Constitutional Convention made a series of compromises on slavery that led to the creation of a proslavery Constitution. This article argues that this was the nation's first form of "affirmative action" as the Constitution explicitly protected only one form of private property: slaves. The Constitution of 1787 was a proslavery document, designed to prevent any national assault on slavery, while at the same time structured to protect the interests of slave owners at the expense of African Americans and their antislavery white allies. To understand this earliest form of affirmative action, this article examines the argument that the constitution was proslavery and then explains the Convention that wrote the Constitution and the document that convention produced. This Article, published in a symposium issue focusing on science and expertise, traces the early reception of the modern expert witness. It describes in some detail the widespread frustrations with expert witnesses in court in the closing decades of the nineteenth century, focusing in particular on the two most vociferous critiques: that experts too often became partisans, mere mouthpieces for the party that hired them; and that expert testimony was so frequently contradictory that it confused and perplexed, rather than enlightened, the lay jurors who heard it. The Article argues that these criticisms can only be properly understood by recognizing two important aspects of how expert evidence was being wielded and understood in this period. First, it is important to recognize that even amidst the rampant complaints by the bench, bar, and experts themselves, about the content and methods of expert testimony, the actual use of expert evidence was simultaneously increasing. Second, I argue that a key source of the dissatisfaction with expert testimony was a disjunction between a set of idealized expectations for scientific evidence and the practical realities of its use in the courtroom. It was precisely because of what science was thought to be able to offer to the process of legal decisionmaking, that the spectacle of warring experts provoked such frustration and anger. Science ought to have been able to offer proof more objective, more certain, and more neutral than that of the lay eyewitness, or so believed scientists and legal commentators alike. When it failed to do so, this failure was frequently attributed to partisan excess or the problems of adversarialism, rather than recognized as being, at least in significant part, the result of unrealistic expectations for science itself. In the conclusion, I suggest that this idealized conception of science lingers with us today as well, and continues to influence how we understand and critique expert evidence in court. The goal of this project is to create a collaborative database on the published sources of English medieval legal documents, and to provide links to the growing number of online sources currently being developed. The project originally arose from a perceived need for an up-to-date bibliography of published material in the field of medieval legal documents. This need was made more pressing by the fast growing body of material to be found online. However, the true scope of the work did not become clear until what I had projected as a bibliography of a couple of hundred items turned into a major database of close to one thousand records … and growing! There are in fact several advantages to converting a large bibliographical database like this to a wiki. The obvious one...is the ease of keeping it up-to-date. Another advantage is the open source aspect of it. A wiki, unlike a static text file can become a truly cooperative resource, where scholars who have information to share are able to register as contributors, and add to the value of the resource. I also foresee it becoming an intermediary for linking to scanned files of the original manuscripts, so that scholars could view high definition images, rather than transliterations. This would mean that in some cases they would not necessarily need to visit the local archives in order to carry out their research. This function may prove to be its greatest value. Furthermore I expect the wiki, now launched to the academic community, to take off in directions I have not even conceived of! A third major advantage of a wiki is the ability to link to relevant information on other web-sites. For example, each of the entries in the introductory list of Kings and their Dates of Accession is linked to a page of Wikipedia with biographical and other information on that monarch. Links are made to the homepage of the National Archives as well as to those of many local historical and record societies who, in large part, have been responsible for the publication of legal documents from local archives. Also of value are the links (still under development) from the highlighted OCLC numbers for each title. These links will take users directly to WorldCat, where they can determine which local libraries hold the item. This is the first wiki attempted by the USC Law School, but already faculty are coming up with ideas of how such cooperative databases could help them with their own joint research. We are very excited about it. I have to acknowledge the support I have received from Albert Brecht on this experimental project and the wonderful help I have received from our IT department. You can begin wiki-ing medieval documents here. Our argument does not merely explain why originalism is the preferable theory of interpretation; it also reveals the type of originalism that should be employed. Rather than attempt to determine the best originalist interpretive theory in some abstract sense, we should employ the interpretive rules that the constitutional enactors intended to apply. In that way, we use the meaning that actually passed through the supermajoritarian process. We call this form of originalism "original methods originalism. " George glanced around the restaurant. It was cavernous, with the tables empty and set far apart from each other. Otherwise, it looked like any old diner, except that it still had telephones without dialers in the booths. Every American Indian person - repeat, every American Indian person - is related to or knows someone or is someone who has been adopted out of or removed from their reservation family. A significant percentage of each recent generation of American Indian people has grown up among strangers, either adopted by non-reservation families or force-fed through a state foster care system. This is, of course, one of the fundamental issues Congress hoped to address when it enacted the Indian Child Welfare Act in 1978. This fictional narrative is my take on what it means for an Indian person to lose their family - and to regain it much, much later. 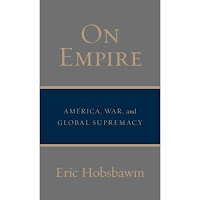 Eric Hobsbawm, On Empire: America, War, and Global Supremacy (Pant heon) is reviewed today in the Los Angeles Times. 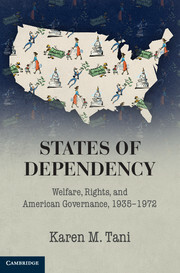 Kristina Lindgren describes the book as arguing "that the greatest danger in the 21st century is in 'the global ambitions of an uncontrollable and apparently irrational government in Washington' bent on exporting an ideology of liberty and democracy and, in the process, squandering America's moral authority and influence." Hobsbawm "notes persuasively that the United States, the world's sole superpower (by virtue of its high-tech military capability), is the only major empire in history that "has also been a major debtor. '...The question is whether the U.S. will try to 'maintain its eroding global position [with] politico-military force . . . and in so doing promote . . . not global peace but conflict.'" 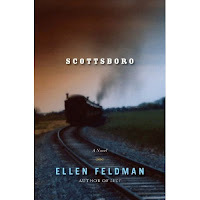 A nov el, Scottsboro, by Ellen Feldman (Norton) is reviewed in the San Francisco Chronicle. According to Jonah Raskin, Feldman "revisits the celebrated case in a social-protest novel that once again indicts bigots and bigotry, and focuses on the role of two women largely neglected by historians, dramatists and fiction writers....She breathes new life into the real Ruby Bates, a white woman who initially testified that she was raped by the defendants but later proclaimed their innocence. Ruby appears in the novel under her real name, and her voice - she narrates much of the story - gives 'Scottsboro' resonance and a sense of authenticity." This is a great Sunday for the New York Times Book Review, with Michael Kazin on Walter McDougall, Throes of Democracy: The American Civil War Era, 1829-1877; Emily Bazelon on Martha C. Nussbaum, Liberty of Conscience: In Defense of America's Tradition of Religious Equality; Amy Chua on Anthony Pagden, Worlds at War: The 2,500-Year Struggle Between East and West; Nicholas Kristof on Matthew Connelly, Fatal Misconception: The Struggle to Control World Population, and more. Ralph Luker at Cliopatria, has it covered in a great book review round-up. But here’s the other piece of advice I will give you. It is a real question whether you should get a full time visiting teaching gig; or whether you should stay away from teaching for a year, delay submission of your dissertation until April, and get some articles out to journals. If you can teach and write at the same time, fantastic. But also know that full time teaching is often consuming, even for a veteran teacher, and it is also really interesting, which means that you will want to spend time on and with your students that should probably be spent on your writing at this stage of your career. If you do not yet have publications and/or a polished dissertation, writing is a better use of your time in the long run, as long as you can find some other way to feed, house and clothe yourself, and as long as your committee will agree to keep you on the books for another year. Because honestly? Showing that you are a mature scholar who can see an article through to publication and a person who has a clear sense of how the dissertation will become a book is going to help you far more than a year of teaching when, in the fall, you pull out your c.v., dust it off again, and go back on the market. I agree. And if you have no dissertation because you are a J.D. and not a Ph.D. candidate...it is all the more important to develop your scholarship before going (back) on the market. If you are moving from practice to teaching and you have student loans payments, a mortgage and other financial obligations, carving out time may be a stretch, possibly making a VAP position more attractive. But think creatively about whether you could swing a leave of even a few weeks, perhaps coupled with vacation time, by downsizing if needed. Six weeks of intense work may enable you to make the progress you need on the article that will be the topic of your job talk. More from Potter is here. Between September 1778 and April 1779, twenty-three men were tried in Philadelphia for high treason against the state of Pennsylvania. These trials were aggressively prosecuted by the state in an atmosphere of widespread popular hostility to opponents of the American Revolution. Philadelphia juries, however, convicted only four of these men, a low conviction rate even in an age of widespread jury lenity; moreover, in three of these four cases, the juries petitioned Pennsylvania's executive authority for clemency. Since it is unlikely that most of the defendants were factually innocent, these low conviction rates are a mystery that has never been adequately explained. This Article offers such an explanation, and, in the process, uses these trials as a case study of jury service in late eighteenth-century America. We know surprisingly little about this important subject, as legal historians have focused almost exclusively on the more visible role of judges. Drawing on a wide variety of sources, this Article seeks to remedy this imbalance by providing the most thorough study yet written of a group of eighteenth-century American jurors. The Article demonstrates, for the first time, how eighteenth-century American defense counsel creatively used peremptory challenges, deployed along religious, political, and economic lines, to create favorable juries, composed almost entirely of men who had previously served in treason cases. Through careful study of demographic records, this Article reconstructs the Philadelphia jury box and allows us to identify not only the social status of the jurors, but also the intricate network of connections linking the grand jurors, the trial jurors, and the defendants. It explains how Philadelphia jurors repeatedly balked at the death penalty, effectively nullifying Pennsylvania's capital law of treason. It also examines the subsequent attacks on jury independence triggered by these acquittals, ranging from strident newspaper criticism to a deadly militia attack on the home of James Wilson, signatory to the Declaration of Independence and defense counsel in many of the treason trials. By examining the actions of juries in a convulsive, violent civil war, the Article also illuminates the jury's historical role in balancing liberty and national security, an issue that continues to confront America today. William Murphy of the University of North Carolina Law School, who passed away last fall, has inspired two new papers just posted on SSRN, one by Eric Muller, University of North Carolina, and one by Paul M. Secunda, University of Mississippi. Eric had a blog post last fall remembering Professor Murphy, whose contract was not renewed by the University of Mississippi in 1962, after he insisted on teaching his students that Brown v. Board of Education was the law of the land and should be enforced. Eric Muller's paper is Bill Murphy and the Hidden Inner Layer of Academic Freedom. This essay, which relates the dramatic story of Professor William P. Murphy's repudiation by, and departure from, the University of Missouri amidst the campus protests of 1970, illustrates the importance of faculty governance to a robust and healthy academic institution. It is somewhat strange to write a tribute to a person that one has never had the pleasure to meet. Yet, I feel than I am compelled to write about a great man, William Bill Murphy, for in two significant ways he made my career as a law professor at the University of Mississippi School of Law a possibility. First, post-Brown in 1950's Mississippi, Bill sought to make the transition to integration as painless as possible for his fellow Southerners and he would not accept talk about the illegitimacy of the Supreme Court or its constitutional holdings. Of course, he was mistaken in his optimism, but his adherence to the rule of law and to his principles, when many others sought to avoid the racial situation altogether, was not only praiseworthy, but utterly courageous. Second, Bill used his position of prestige at the law school to state that labor unions were legitimate, reasonable, and important institutions for the development of the South. Although unions are still anathema to many in this region, his writings helped to raise the level of the dialogue immensely on this controversial topic. So, quite simply, Bill Murphy, a man I never met, is a not only an inspiration to me, but a trail-blazer who made it possible for me to write freely about civil rights, labor, and employment issues in the Mississippi of today. Tax Prof has an excellent round-up of resources on fellowships, Visiting Assistant Professor positions and more for aspiring law professors. It includes programs targeted to legal history, the Raoul Berger Visiting Fellowship in Legal History, Harvard, the Golieb Fellowships in Legal History, NYU and the J. Willard Hurst Fellowship in Legal History at Wisconsin. Update: the Hurst Fellowship at Wisconsin no longer has a legal history focus. Details here. Growing up in the second half of the 20th century, we are prone to think about our world and our work in terms of ideologies. Late 20th century historical discourse was dominated by a succession of ideas and theoretical frameworks. This mirrored the broader cultural and political discourse in which our work was set. For most of the last 75 years of the 20th century, Socialism, Fascism, Existentialism, Structuralism, Post-Structuralism, Conservatism, and other ideologies vied with one another broadly in our politics and narrowly at our academic conferences. I believe we are at a similar moment of change right now, that we are entering a new phase of scholarship that will be dominated not by ideas, but once again by organizing activities, both in terms of organizing knowledge and organizing ourselves and our work. My difficulty in answering the question “What’s the big idea in history right now?” stems from the fact that, as a digital historian, I traffic much less in new theories than in new methods. Continue reading this very interesting essay here. The comments take up the question of whether theory vs. methodology is a false dichotomy. Surely we need innovations in both. Hat tip. Prostitution in the United States in the early 19th century was almost entirely an individual, ad hoc, unorganized activity. Prostitutes were, for the most part, kept women who lived with a man, trading housework, cooking, and intimate relations for a roof over their heads and, occasionally, money. In the 1910s, the Progressive Movement arrived, bringing with it enforcement of harsh criminal penalties for prostitution for the first time. Within a couple of decades, the rigorously structured, commercialized prostitution industry that we know today had begun to emerge. Criminalization had transformed prostitution from a practice into an institution and business. This paper will examine the causal relationship between criminalization and institutionalization, focusing on the development of American prostitution. Part I of this paper will examine the practice of prostitution in North America prior to the prohibitionist and criminalization campaign ushered in by the Progressive Era. Part II will examine this campaign and the immediate effects it had on the organization of prostitution. Part III will demonstrate that prostitution, particularly in urban centers, achieved a remarkable degree or organization and structure shortly after criminalization. Part IV notes that the independent contractor model that typified the 19th century in North American remains prevalent in the Dutch system of prostitution, a radically different framework owing to the absence of criminalization. Part V will set out an analysis of the forces behind the criminalization to institutionalization link. The paper concludes with a brief discussion of the policy implications of better understanding the relationship between criminalization and institutionalization. Legal history has its place, but you will be fighting a very large uphill battle in submitting a piece that has few to none prospective and/or normative conclusions. What will Mary Dudziak say? let me say only this: legal history that makes no argument is not good legal history. Legal history that is principally "prospective" is sometimes fine but can often be, well, "law office history," history in the service of advocacy. This sort of history may work in an amicus brief, but would not make it through peer review in a history journal. There is a diversity of methodologies in legal history, but legal history helps us understand the nature of legal system, and the relationship between law and social change. New transnational and comparative work (e.g. here and here), to take just one example, helps us to see that the new interest in globalization is not so new, and provides a window on the way national legal ideas have transnational sources and impacts. The sort of arguments found in historical work will generally take a different form than arguments in legal theory. We have a division of labor in the academy. At a time when history has become a form of analysis on the Supreme Court (e.g. in PICS, Lopez and many other cases), this is hardly a time to turn away from legal history, including in legal education, in spite of recent contrary comments. But the dismissal of legal history by law review editors is one reason that publishing in peer reviewed history journals and books, where the critical comments in the editorial process go to the substance of the historical arguments & evidence, can be so much more satisfying. There are, of course, exceptions. It usually depends on whether someone on a particular law review board has an interest and/or expertise in history. While Lawrence Solum is right to imply that the above quote can be thought of as a parody of law review thinking (there is a more earnest take on the blog in question here), there is a substance behind the parody that needs to be engaged. Argonauts of the Eastern Mediterranean: Legal Transplants and Signaling is a new paper by Assaf Likhovski, Tel Aviv University - School of Law. This paper tells the story of the Harvard-Israel Cooperative Research for Israel's Legal Development Program, created by a group of German-Jewish lawyers in the 1950s. The paper argues that an analysis of the history of the program, and a related program of Israeli legal aid to Africa in the 1960s, can suggest novel ways of understanding the social acts involved in the process of legal transplantation. Much of the literature on legal transplants focuses on the legal norms that are transplanted, and connects the existence of the phenomenon of transplantation to the more general debate about the relative autonomy of law. In this paper I would like to shift the focus of the debate from discussion of the legal norms transplanted to the social acts involved in the process of transplantation. My argument is that while transplantation may be motivated by utilitarian considerations, such as the desire to obtain foreign norms which are deemed superior to local law, it is sometimes also a process of signaling. Signaling theory seeks to explain a wide range of indirectly-utilitarian forms of behavior, ranging from the extravagant tails of peacocks to conspicuous consumption or monumental architecture in human societies. This paper argues that one of the roles of the Harvard Program (as well as the program of Israeli legal aid to Africa in the 1960s) was its use as a signaling device to communicate to Israel's potential western allies as well as its Arab enemies the fact that Israel was both a part of the civilized world, and thus a worthy partner for cooperation and a state strong enough to survive in the hostile environment into which it was born. If, in the description of one constitutional scholar, text, history, structure, prudence, and doctrine are the building blocks of constitutional argument, then the California Supreme Court's landmark 1979 decision in Robins v. Pruneyard constructed a building without a supporting foundation, sturdy walls, or a covering roof. The court invoked the Liberty of Speech Clause in the California Constitution to impose duties upon private landowners, not merely upon government, to facilitate the political speech of others. But Pruneyard was a disembodied policy decision, severed from constitutional text, history, context, and developed legal reasoning. In this Article, the author revisits the Pruneyard decision, through a scrupulous analysis of the text and the context of the typical state constitutional speech clause, together with a fresh examination of original historical sources in state constitutional drafting. The author further addresses the continuing interplay in constitutional law between freedom of speech and guarantees for private property, insisting that weakening the latter ultimately compromises the former. Because Pruneyard has received persistent attention in ongoing constitutional debates for more than two decades, because more than thirty states share a similar text for (and much of the same history of) a constitutional liberty of speech clause, because Pruneyard is a period piece from a particular epoch in American constitutionalism, and because the jurisprudence of constitutional interpretation has progressed beyond that stage, the story of Pruneyard is a cautionary tale with national resonance. This brief essay recounts developments in corporation law over the last fifty years. It begins with the rise of finance capitalism and the conglomerate corporation which was followed by the emergence of hostile takeovers in the late 1970s and 1980s. One of the key events in this saga was the February 1, 1983 decision by the Delaware Supreme Court in Weinberger v. UOP, Inc. that effectively permitted the at-will elimination of minority stockholders through cashout mergers. Takeovers were also facilitated by two major financial developments: (1) the growth of institutional investors coupled with the growing taste of diversified investors for risk and (2) the emergence of the junk bond market as a source of cash to finance takeovers. Target managers vigorously sought ways to defend themselves from takeover. But the genie was out of the bottle. Although the initial motivation for takeovers was the bust up of inefficient conglomerate companies - because investors figured out that they could roll their own diversified portfolios more cheaply - diversified investors also figured out that they could tolerate more risk. So they demanded higher returns from all companies. Faced with this irresistible force, target managers also sought ways to share the gains. The result was that executive compensation evolved from a salary and bonus system to one based on stock options and other forms of equity. Equity compensation gave rise to two unintended - but quite happy - consequences. One is that it permits managers to share in the gains from divestitures and thus eliminated the bias for growing the company that went with the old salary and bonus system. The other is that it causes public companies to distribute available cash through repurchases designed to deal with the dilution that comes from the exercise of stock options. Ironically, the primary justification for takeovers had been that target companies tended to hoard cash and use it for uneconomic growth. Thus, the takeover did not die because of defensive tactics and protectionist state takeover laws. It simply went in house. The implications of this evolution are significant. For one, it calls into question the traditional notion that the stockholders own the company and that the CEO is a glorified employee. It may make more sense to think of stockholders and managers as in partnership with each other with the board of directors charged primarily with the role of arbitrating the competing claims of these two groups of owners. If this is the better view of the corporation, then executive compensation becomes the central concern of corporation law rather than an interesting subset of problems falling somewhere between the duty of care and the duty of loyalty. Moreover, under this view of the corporation, it would seem quite important to enforce rules against insider trading, whereas under the traditional view of the corporation the rationale for the prohibition of insider trading is not at all clear. This text of this essay was delivered as a lecture at the inauguration of the McGuinn Chair of Business Law at Villanova University School of Law on October 12, 2007. He is remembered here and here. His home page is here. American College of Nurse Midwives Foundation; when you donate, you can indicate that the donation is in honor of Alan. Woodrow Wilson National Fellowship Foundation; when you donate, you can indicate that the donation is in honor of Alan. A celebration of Alan Dawley's life and work is planned for June. To participate or send a remembrance, contact information is available here. Donald Horowitz, Duke, takes up a great topic, The Federalist Abroad in the World. There remains much important work to do on placing U.S. legal history in a global context. We can explore transnational dimensions of American legal ideas, American legal actors and the transnational reach of the state itself. Horowitz takes up an important example of the reach of the American founding. The American example has affected other political struggles in various ways. The impact of American history on the politics, or at least the political rhetoric, of others was evident in the late 1950s, when Kenya independence leader Tom Mboya came to the United States and talked about George Washington. Kenyans drew inspiration from Americans' successful battle against the British Empire. More on that here. This paper traces the influence of The Federalist Papers on five continents. From 1787 to roughly 1850, The Federalist was widely read and highly influential, especially in Europe and Latin America. Federalist justifications for federalism as a solution to the problem of creating a continental republic or to provincial rivalries were widely accepted. So, too, was the presidency, at least in Latin America, and that region adopted judicial review later in the nineteenth century. Presidentialism and judicial review fared less well in Western Europe. Following World War II, judicial review slowly became part of the standard equipment of new and old democracies alike, for reasons the paper attempts to specify. On the other hand, federalism is relatively rarely adopted, despite its potential for the alleviation of ethnic divisions. In general, the rights consciousness associated with the Anti-Federalists has prevailed over Federalist structural engineering in the contemporary period, even though many constitutional design scholars and advisors counsel constitution-makers to consider Madisonian approaches. In the United States, by contrast, Federalist ideas are firmly embedded in public consciousness but are increasingly rejected by some scholars, who see them as insufficiently majoritarian or excessively cumbersome to accomplish the work of government. This year's Bancroft Award goes to three books: Allan M. Brand t for The Cigarette Century: The Rise, Fall, and Deadly Persistence of the Product that Defined America (New York: Basic Books), Charles Postel for The Populist Vision (New York: Oxford University Press), and Peter Silver for Our Savage Neighbors: How Indian War Transformed Early America (New York: W. W. Norton & Company). The Bancroft is awarded annually by the Trustees of Columbia University to the authors of books of exceptional merit in the fields of American history, biography and diplomacy. The 2008 awards are for books published in 2007. Hat tip to Cliopatria. The Supreme Court hears arguments tomorrow in District of Columbia v. Heller, a rare Second Amendment case challenging the ban on handguns in Washington, D.C. Historians have filed briefs on both sides of the case on the question of the Second Amendment's historical meaning. There are also a number of new and older articles on the topic recently posted on SSRN. There is a very long list of Amicus briefs in the case. The principal history briefs are, supporting the District of Columbia's defense of its law, the Brief of Jack N. Rakoffe, Saul Cornell, David T. Konig, William J. Novak, Lois G. Schoewerer, et al. On the other side is the BRIEF OF THE CATO INSTITUTE AND HISTORY PROFESSOR JOYCE LEE MALCOLM. Paul Finkelman, Albany, has just posted his article, 'A Well Regulated Militia': The Second Amendment in Historical Perspective. Douglas G. Smith, Mason, has a recent paper, The Second Amendment and the Supreme Court. Clayton E. Cramer and Joseph Olson, Hamlin, have two recent papers, Pistols, Crime, and Public Safety in Early America, and a comparative paper about Britain, Gun Control: Political Fears Trump Crime Control. Historian Nathan Kozuskanich, Nipissing University, Ontario has a short piece on HNN, The Right to Bear Arms? What History Tells Us, discussing his argument in a longer article, ORIGINALISM, HISTORY, AND THE SECOND AMENDMENT: WHAT DID BEARING ARMS REALLY MEAN TO THE FOUNDERS? More on 2nd Amendment history is here. For general background on the case, try the SCOTUS Wiki. For breaking news, the SCOTUS Blog is usually best. Various law blog reactions can be found here. ON DEEP HISTORY AND THE BRAIN, by Daniel Lord Smail (University of California Press), taking up human biology and history, is reviewed in the New York Times. War is the subject of reviews in a number of papers. Ilya Ehrenburg and Vassily Grossman, The Unknown Black Book: The Holocaust in the German-Occupied Soviet Territories (Christopher Morris and Joshua Rubenstein, trans.) (Indiana University Press) is reviewed in the New York Sun. On World War I, Nicholas Baker, Human Smoke (Simon and Schuster) is also reviewed in the Sun. More on Nazism, Nazi Literature in the Americas, by Roberto Bolaño, (translated by Chris Andrews) (NEW DIRECTIONS) is taken up in the San Francisco Chronicle. A review of John Phillips and Martin Evans, Algeria: Anger of the Dispossessed is in the Washington Times. The Washington Post has a round-up of books related to the war in Iraq. The decision by the Supreme Court in New Jersey Steam Navigation Co. v. Merchants' Bank of Boston (The Lexington) marked a turning point in American legal history. Federal courts sitting as courts of admiralty had been preoccupied with war and neutrality and the extension of maritime law to inland waters. But in the case of the Lexington the Court decided that the admiralty jurisdiction of the United States is defined by limits found in ancient English statutes and customs. In the same case, the Court held that a marine carrier could be liable to a shipper for damage to cargo despite exculpatory clauses in the contract of carriage, anticipating the Harter Act of 1893 and the Carriage of Goods by Sea Act of 1936. With these decisions, the Court prepared the courts of the United States to serve the emerging commercial needs of a proud new democracy. In this Essay, I make two arguments. First, I argue that the national government may not use the Treaty Power to abrogate Eleventh Amendment protections. The Eleventh Amendment voided specific provisions of the Treaty of Peace that states feared would grant British creditors actionable claims against them and, by cabining the Treaty Power, additionally prevented the national government from negotiating a new treaty that would have held states accountable for their denials of British claims. Whatever the original meaning of the Treaty Power was at the Framing, the Eleventh Amendment redefined and curtailed it dramatically. In fact, the Framers of the Eleventh Amendment saw the Supremacy Clause, and the policy reasons underlying it, not as grounds to tolerate an expansive Treaty Power, but rather as the very reasons to amend the Constitution. The background of the Eleventh Amendment as a response to the Treaty of Peace must be considered in any complete picture of the constitutional balance between the national and state governments in light of the Treaty Power. Second, I argue that the states ratified the Eleventh Amendment to protect themselves from out-of-state plaintiffs - but only out-of-state plaintiffs - with claims based on diversity or federal question jurisdiction. The states ratified the Eleventh Amendment in reaction to Chisholm v. Georgia but did so more as Chisholm pertained to British creditors than as Chisholm pertained to American, out-of-state creditors. As a domestic policy measure, the Eleventh Amendment protected interests within each state and simultaneously cut short the emergence of a national court that could have held states accountable for practices that were discriminatory, corrupt, or dangerous to national security. As a foreign policy measure, the Eleventh Amendment expressed American outrage over Britain's refusal to evacuate military posts in the Northwest and expressed the American refusal to pay debts to British creditors. To protect states from British creditors, the ratifiers of the Eleventh Amendment had to preclude British merchants from bringing treaty-based claims under either federal question or diversity jurisdiction. They did not have to preclude in-state plaintiffs from bringing federal question claims, because British merchants could not practicably assign their claims to in-state plaintiffs. Competing interpretations of the Eleventh Amendment insufficiently consider its purpose as a foreign policy measure. This article raises two issues of contemporary constitutional law. The first is a question of free speech: the propriety of the judiciary's current retreat from the traditional rule that equity cannot enjoin defamatory speech, which until now has been one of the unwavering precepts of the American law of remedies. The second is a question of constitutional jurisprudence: when determining the rights that citizens have against state government, should jurists who consider themselves originalists seek the meaning of the Bill of Rights in 1789, when the Bill was first adopted, or in 1868, when the Fourteenth Amendment made it applicable to the states? As a contribution to the judiciary's reassessment of the traditional no injunction for defamation rule, this Article revises our understanding of rule's history and discusses the implications of that revision for the current debate on the no injunction rule's continued propriety. The historiography of the rule traces back to Roscoe Pound's 1916 article Equitable Relief Against Defamation and Injuries to Personality. In Pound's view, the rule was not settled at the nation's founding. I will argue that it was. Also in Pound's view, the rule was founded on such anachronistic concerns as the limitation of equity's jurisdiction to the protection of property rights. I will argue that it was founded in on considerations that still should influence us: distrust of judges and respect for the role of juries in free speech controversies. In light of this argument, the Article suggests that if it is proper to depart from the traditional no injunction rule, the Supreme Court should find that the First Amendment imposes two jury-centered limitations on the departure: 1) no injunction may issue without a jury determination that the speech was defamatory; and 2) no injunction be enforced without a jury determination that the injunction was violated by speech that continues to be defamatory. By insisting on the inclusion of a jury in both the liability and enforcement proceedings, the insight of the constitution makers of the importance of a popular check on government regulation of speech may be retained. As a contribution to the practice of originalism, this Article establishes a historical point with which Pound had no concern: the evidence supporting the claim that the no injunction for defamation rule was an established aspect free speech is far more clear and abundant if we consider the Reconstruction era rather than the nation's Founding. This point illustrates the importance, when discussing the limitations imposed by the Fourteenth Amendment on the states, of shifting the focus from the meaning of the Bill of Rights in 1791 to its meaning in 1868. In this way, the paper contributes to the substantive debate on the future of the no injunction for defamation rule while it illustrates the importance of focusing on the evolution of Bill of Rights norms between 1789 and 1868 when interpreting the restrictions the Fourteenth Amendment imposes on the states. This paper was presented at a symposium, "The Scholar as Activist", dedicated to the work of Nadine Strossen, President of the ACLU. This paper focuses on the subject of international human rights law and the engagement of scholars as activists in this area of law. At fifty-plus years, and therefore soundly middle aged, the global human rights project today provides occasion for reflection and evaluation. This paper observes that human rights have increasingly become the language of progressive politics. In many ways, this focus on human rights globally echoes the struggle for civil liberties and civil rights in the United States in earlier decades. Then, despite widespread opposition, the vision of a society underpinned by human rights and dignity seemed attainable; this emboldened generations of activists and inspired many scholars. And sometimes, inspiration and boldness merged to shape the scholar as activist. The path-breaking contributions of scholars like John Hope Franklin, C. Vann Woodward, and Kenneth Clark to the 1954 decision of Brown v. Board of Education reflect the scholar as activist in the finest light. Using the South African democratic process as a case in point, the article assesses the transformative potential of human rights law. Crafting the Oregon Constitution has received an Honorable Mention in what is being called the "first annual Best Archives of the Web awards" at at ArchivesNext. The site is maintained by the Oregon State Archives. Before the constitution was framed, according to the site, Oregon fever gripped America, beginning in the 1840s. You can follow debates at the 1857 conference, with information about delegates, and coverage of substantive debates, including on the role of the judiciary. The original constitution begins here. Hat tip. It is striking that Justice Rufus W. Peckham has received so little scholarly attention and remains without a biography. He was, of course, the author of the Lochner v. New York (1905), one of the most famous and contested decisions in the history of the Supreme Court. Moreover, Peckham wrote important opinions dealing with contractual freedom, anti-trust law, eminent domain, dormant commerce power, and the Eleventh Amendment. He was clearly among the intellectual leaders of the Fuller Court. This paper seeks to take a fresh look at Peckham's career and assess his contributions to constitutional jurisprudence. The paper argues that Peckham, although a champion of economic liberty, was neither a doctrinaire adherent to laissez-faire principles or a one-sided defender of large-scale business interest. Instead, his overriding concern was to protect small, self-sufficient entrepreneurs from both excessive governmental regulation and exploitation by concentrated private power. Over the past few years, Congress, the Supreme Court, academics, and the public in the United States have become increasingly concerned with the scope of patentable subject matter. Various critiques based on notions of patent thickets, anti-commons, and upstream patents in particular argue that research is being hindered by excessive patenting of scientific and technological innovation. While empirical evidence supporting these claims is scant - indeed some recent research rebuts the claims - the concern that too much scientific innovation is being patented still resonates across society. This paper argues that a re-examination of the scope of the Progress (or IP) Clause in the U.S. Constitution with the aid of research and insights from the interdisciplinary field of history and philosophy of science opens the door for a new approach to patentable subject matter. Apologies for the paucity of posts. I planned to catch up on various things on a 5 hour train ride today, but instead spent hours on the phone with your favorite wireless company, which did not result in restoration of the mobile broadband service that they're charging me quite a bit for. If readers have good luck with any mobile broadband companies, especially their customer service troubleshooting, it would be so helpful to all if you would share info/advice in the comments. Our Supreme Court has held that as a general matter an injunction cannot issue if there is an adequate remedy at law. This follows, according to the Court, because the standard for when injunctions may issue derives directly from the practice of the English Court of Chancery around 1789, which followed the same principle. This Article argues that the Supreme Court's reading of general Chancery custom is inapposite in copyright cases, and that, as a matter of historical practice, the Chancery never inquired into whether a copyright plaintiff had an adequate remedy at law. The remedies at law were deemed categorically inadequate. The Supreme Court could thus hold today, without running afoul of traditional equitable principles, that a copyright injunction can issue without regard to the adequacy of money damages. This Article reaches its conclusion only after undertaking the most comprehensive treatment of the subject to date. It relies primarily on the original manuscript records of 215 infringement suits brought in the Court of Chancery from 1660 to 1800, which are stored at the National Archives in Kew, England, and a further review of earlier copyright-infringement suits circa 1557 to 1660 in antecedent tribunals, many of which are also only available in manuscript form. The topic of this Article is particularly timely given the Supreme Court's recent decision in eBay Inc. v. MercExchange, L.L.C. (2006), where it discussed the standard for issuing injunctions in patent cases, and where Chief Justice Roberts stated in a concurring opinion that lower courts should consider the inadequacy requirement in light of historical practices. Zuker, Better a Catholic Than a Communist?